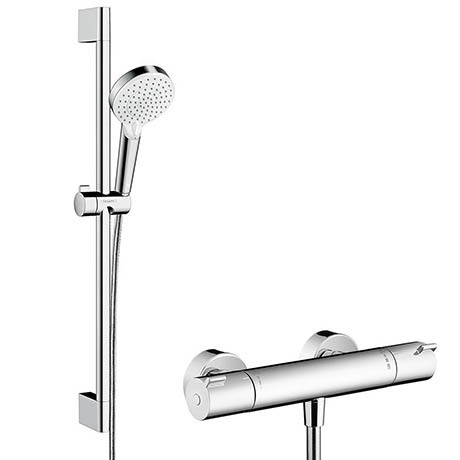 The Crometta Vario Thermostatic Shower System offers elegant design, amazing functionality and reliable quality. This complete shower system adds a touch of sophistication to any bathroom. It's Rain spray is perfect for rinsing shampoo out of your hair while IntenseRain is perfect for setting yourself up for the day washing morning tiredness down the drain. The QuickClean rub clean nubs loosens any limescale deposits making sure your hand shower looks beautiful, and stays working for longer.